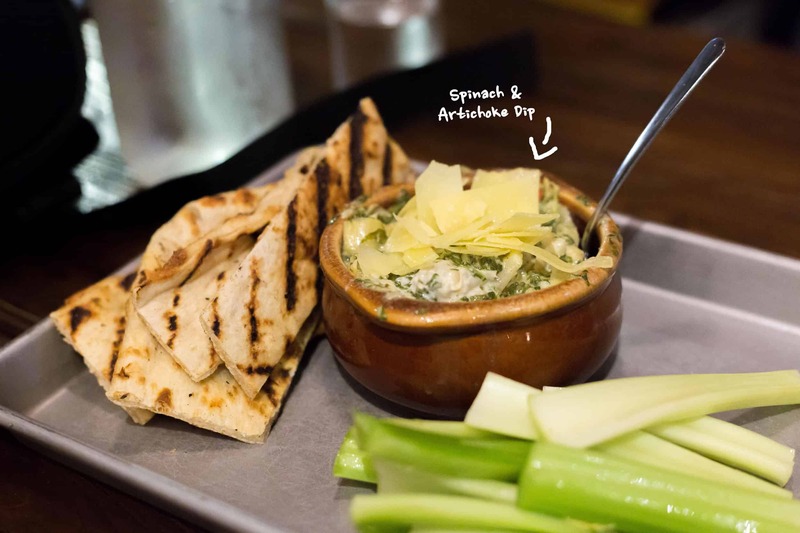 I recently asked two of our amazing regular volunteers, JJ Grinvalds and Brittany Beem, to share a review of the food and beer at Von Eberts Brewing in the Pearl. We’re running there on March 16, 2019. Since this is a relatively new brewery in Portland, we thought it would be fun to learn just a bit more. A sort of “pre-run” if you will. 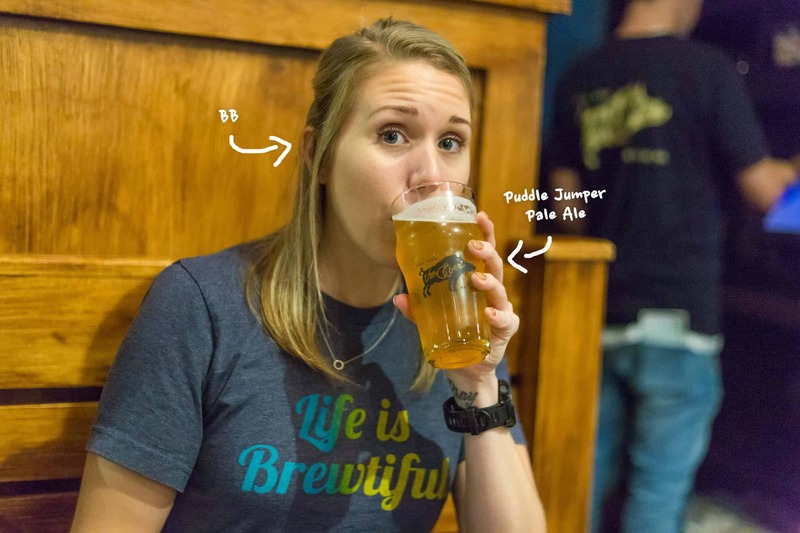 JJ and BB describe themselves as, “just a couple of Run-Loving, Beer-Drinking, Food-Eating PNWesterners with years of eating and drinking experience, but no formal training on how to talk about it.” So here we go! 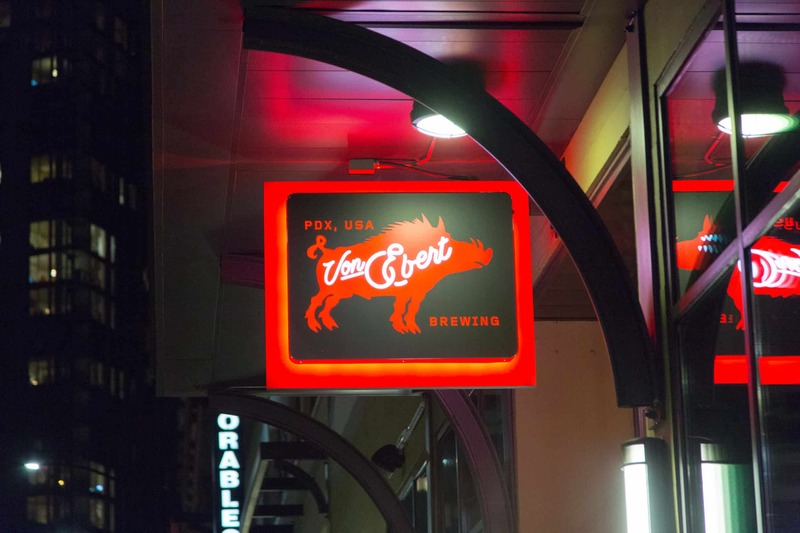 For a more indepth understanding of the philosophy, people, and passion of Von Ebert Brewing, check out our podcast interview with foudner, Tom Cook. JJ and BB here, live from Von Ebert Brewery in Northwest Portland! 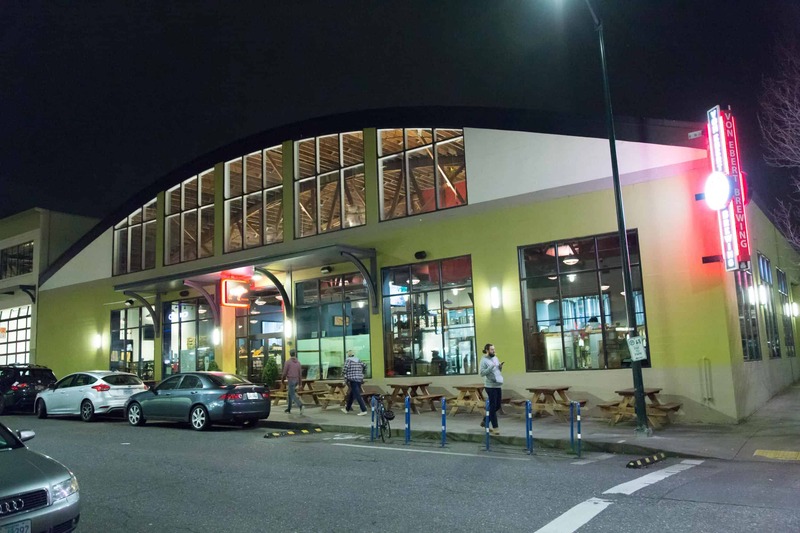 Here’s a quick rundown of the location, the beer, and the food! This 1900’s warehouse turned piano store turned brewery is the perfect venue for this lively German-inspired Portland establishment. You can still hear the faint tinker of piano keys which resonate now as the clinking of beer pints, with the addition of cheers from fans watching the football game. Von Eberts would be a great place to watch any sporting event on one of their nine hanging flat screen TV’s. 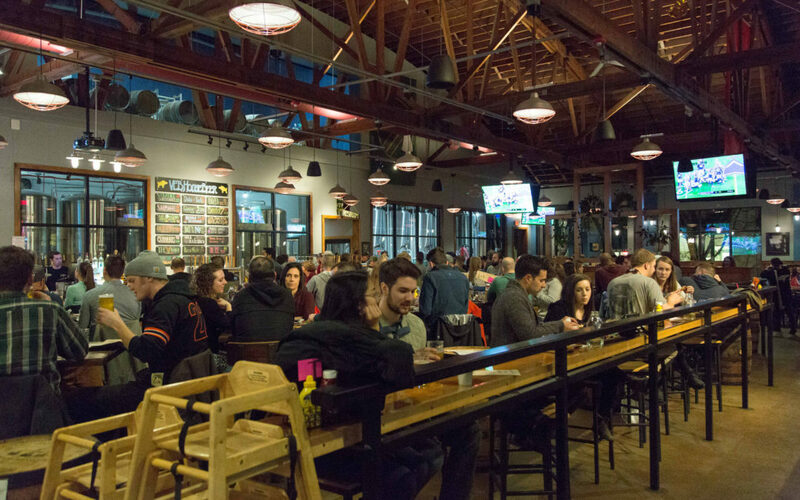 The beer hall-esque interior features wide open seating, giant Timbers and Thorns banners hanging from the high exposed-beam ceilings, and local artwork and prints from the PNW. We caught them at dinner time on a Saturday night, so the crowd was lit, and the lights were not. It was dim… (Personal revelation: we’re too old to pull “lit” off). Run with us here on February 9, 2019! Fun Fact: this used to be Fat Heads Brewing, a franchise of a midwestern brewery by the same name. Von Eberts is locally owned and operated and no longer associated. 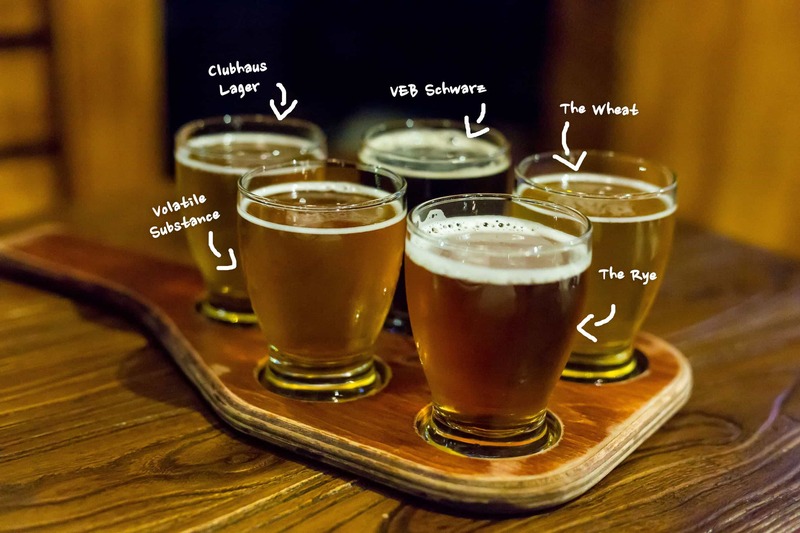 We got the Brewer’s Choice Paddle to sample five of their favorite in-house brewed beers, including a couple of lagers, a wheat, a rye, and an IPA. All were solid selections, including the two other pints we tried afterward —any of which would be a refreshing choice after a 5k fun run (particularly the Puddle Jumper Pale Ale, in case of rain). At any one time, they offer over 20 in-house brewed options, a few choices from other breweries, and even a gluten-free list. Their draft selection changes every 3-4 days, and they brew about 100 different styles a year! Long story short: there’s one for you. Some quotes that could be heard from our booth were: “Whoa, look at all those greens!” in reference to the arugula on our delightful Bayonne Ham & Arugula pizza. “This is a great sandwich!” in reference to our delicious Grilled Chicken Sando packed with basil pesto, avocado, cheddar, (hold the red onions!) and tomato on a brioche bun. And “wait, is that a quote?” in reference to us trying to come up with some clever quips for this piece. 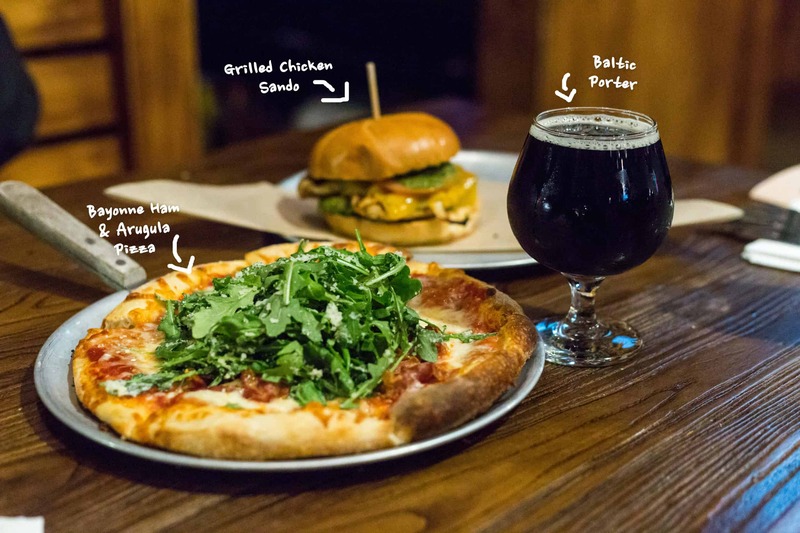 Von Ebert has a full menu with plenty of variety including burgers, mac & cheese, pizza with house-made crust, and Signature Smoked Wings with House-Made sauces (Dominick, the manager’s, personal favorite). The only disappointing part was that we didn’t have the stomach capacity or alcohol-tolerance to continue indulging on their fantastic offering of food and beer. 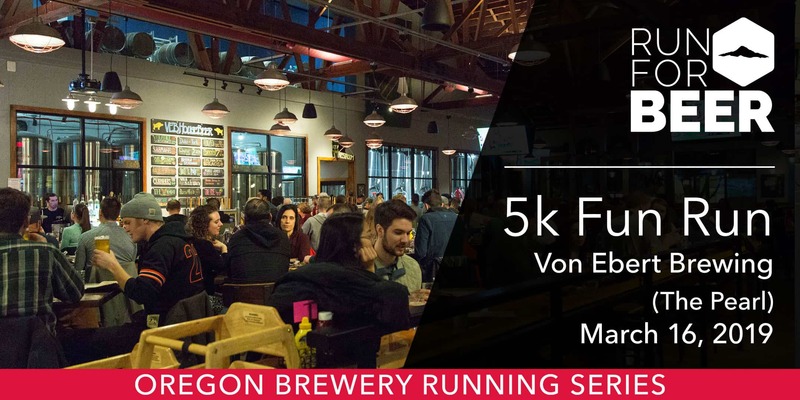 We are so excited to hop, skip, jump– or more than likely, run, to NW Portland to Von Ebert Brewery on March 16 with the Oregon Brewery Running Series. Join us! 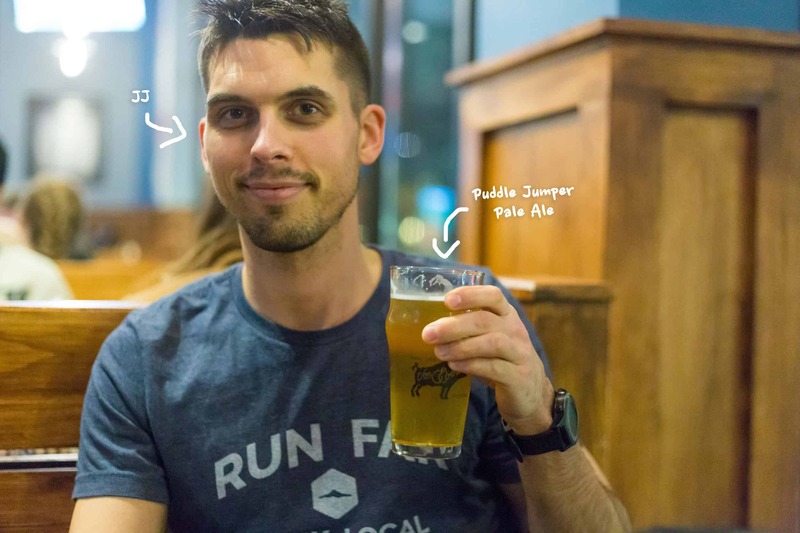 We’re excited to start four 2019 season of beer run fun at Von Ebert Brewing in the Pearl. Here is our tentative course (subject to city approval), and you can register here!